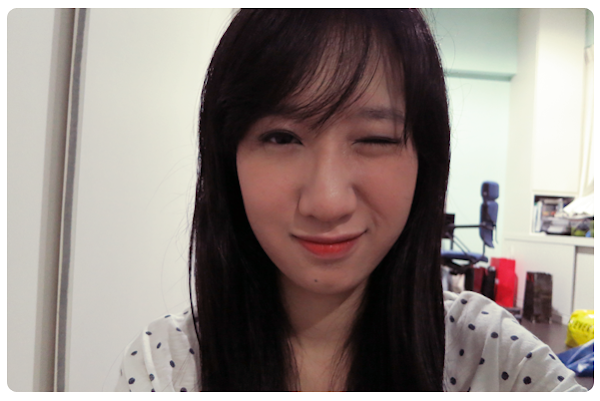 Anyway, here's a way overdue post on Etude House's June Pink Box and some of the items I received! The Skin Malgem Kit houses travel-sized bottles of Exfoliation Toner to smooth the skin, Deep Moisture Freshener for deep hydration, Moisturizing Emulsion and 3 pieces of Facial Cotton Pads. Malgem means cleanliness, clarity and purity in Korean and this kit wants to do all that to your skin! And just recently, Etude House launched the Precious Mineral Sun BB Cream SPF50+/PA+++ and Precious Mineral Sun BB Pact SPF 50+/PA+++! This duo is formulated with Pearl Mineral Powder. It promises a flawless complexion under the insanely hot sun and protects you from the harmful rays at the same time! My Darling Tint now comes in neon colours and I was given 01 Neon Orange and 02 Neon Pink. This tint can be used on both the cheeks and lips and I think it's the new generation of the Fresh Cherry Tint (I'm not too sure about this this though...). 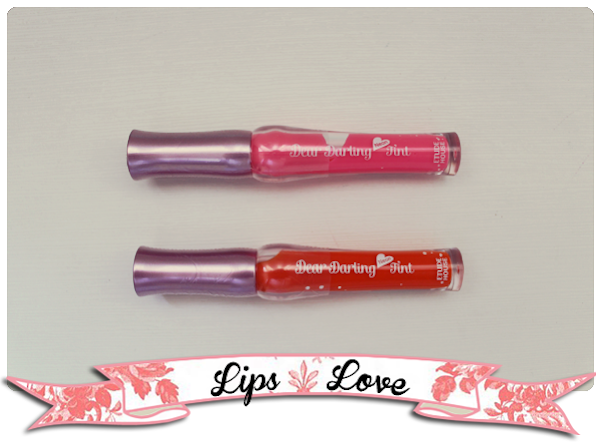 Like most tints, I find them a little drying on the lips so a good coat of lip balm is recommended before application! This also helps to prevent the tint from settling into the fine lines of your lips. 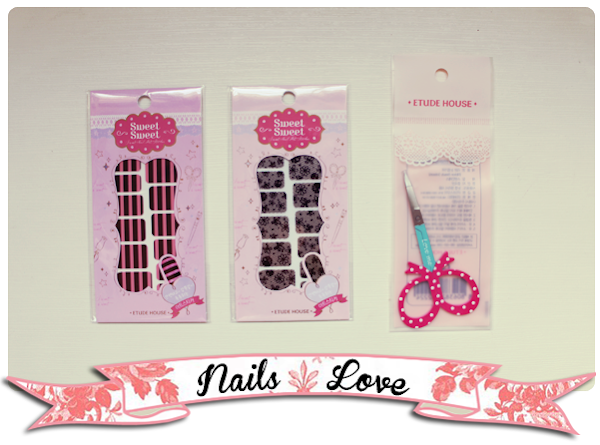 Sweet Nail Art Sticker is the new generation of nail polishes. As most of you know, these are basically stick-ons for the nails. They are a little difficult to apply on your own. But just like nail polishes, practice makes perfect! And you don't need to deal with awful alcohol smells, smudges and waiting time that never seems to end! 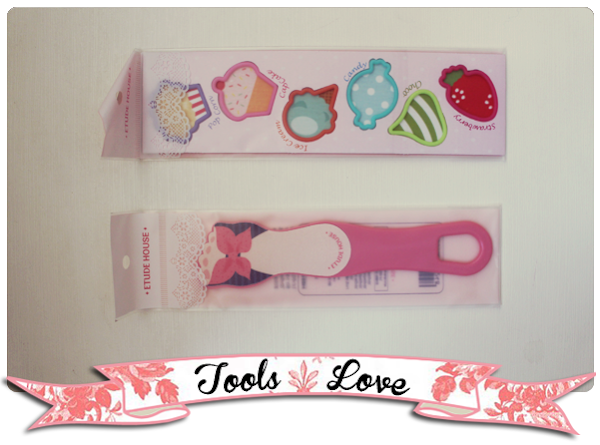 And last but not least, I also received Sweet Hair Ties and a Sandal-Shaped Foot Buffer! 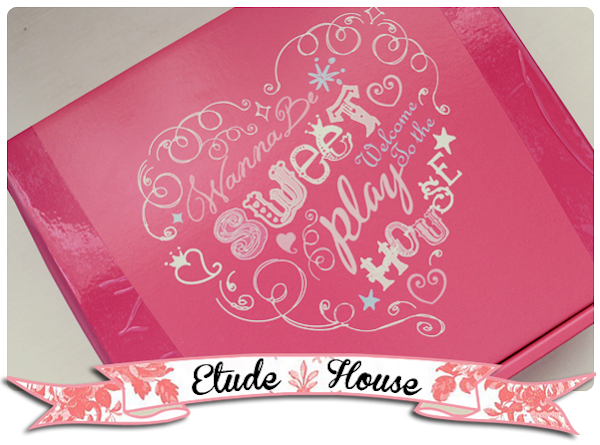 Etude House sure knows how to tug at a girl's heart strings! 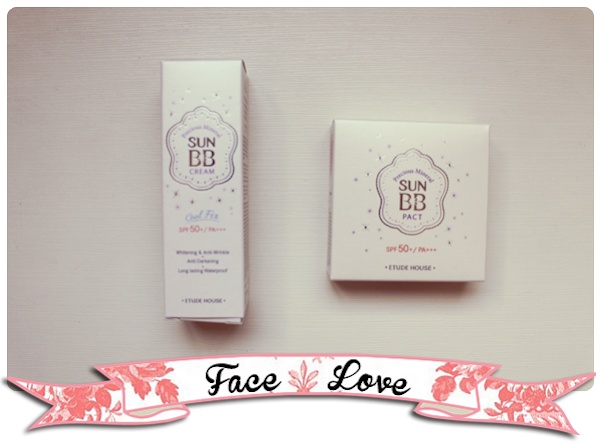 Now, a little more about the Precious Mineral Sun BB duo! For the cream, there are two ways of application. You can either just squeeze the tube and get the cream into the sponge or remove the cap and dispense the cream. I find the first way a little difficult to work with as a lot of the cream pools at the bottom of the sponge. :\ So what I do is to rip off the cap, squeeze the cream onto my hands and then, use the sponge to apply it. Using the sponge to apply the cream gives a smoother and more flawless coverage as compared with patting the cream into your skin. The only gripe I have is that the sponge doesn't clean itself! Haha! Dried up cream on sponge is a breeding ground for bacteria so don't be lazy (This is really directed to me! Heh.)! My cream is in the shade Natural Beige W13 and it oxidizes a little on me. Do test it out first before deciding on your colour. 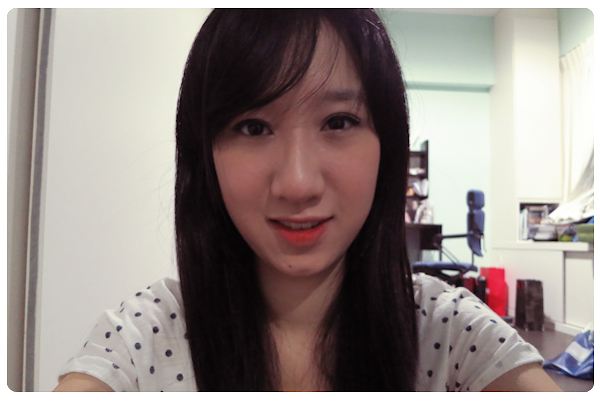 I paired the look with Etude House'sLovely Cookie Blusher in #5 Apricot Pudding and My Darling Tint in 01 Neon Orange.